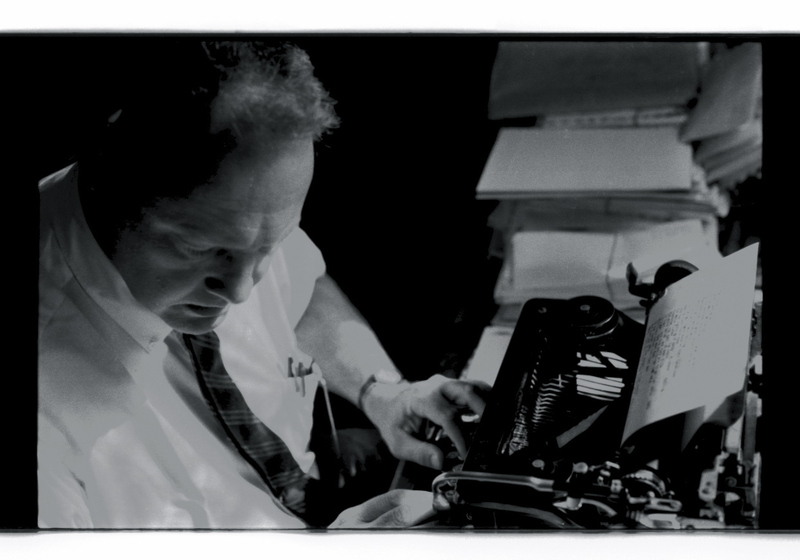 Widely regarded as one of the major mid-century American poets, James Dickey is known for his sweeping historical vision and eccentric poetic style. Joyce Carol Oates described Dickey's unique perspective as a desire "to take on 'his' own personal history as an analogue to or a microscopic exploration of twentieth-century American history." One of Dickey's principal themes, usually expressed through direct confrontation or surreal juxtaposition of nature and civilization, was the need to intensify life by maintaining contact with the primitive impulses, sensations, and ways of seeing suppressed by modern society. Born in 1923 in Buckhead, Georgia, Dickey spent a year at Clemson University before enlisting in World War II. As a member of the 418th Night Fighter Squadron, Dickey flew more than 100 combat missions in the Pacific Theater, and it was during this time that he began to experiment with poetry. After the war, he finished his degree at Vanderbilt University. Although he started writing poetry in 1947, Dickey did not become a full-time poet until thirteen years later. After earning a master's degree in 1950, he taught and lectured for six years, but when some of his poems were construed to be obscene, he decided to forsake academic life for the advertising business. "I thought if my chosen profession, teaching, was going to fall out to be that sort of situation," he said in Conversations with Writers, "I'd rather go for the buck ... I figured that the kind of thing that an advertising writer would be able to write, I could do with the little finger of the left hand, and they were getting paid good dough for it. I happened to have been right." Writing ad copy for much of the 1950s, Dickey secured a place for himself in the world of advertising and business. However, after the publication of his first book, Into the Stone, and Other Poems (1960) , Dickey left his career to devote himself to poetry. "There could have been no more unpromising enterprise or means of earning a livelihood than that of being an American poet," he admitted in Conversations with Writers. "It's different now. They're still having a relatively rocky road, but it ain't like it was ... " Dickey's emotional attachment to his craft surfaced early in his writing career. "I came to poetry with no particular qualifications," he recounted in Howard Nemerov's Poets on Poetry. "I had begun to suspect, however, that there is a poet - or a kind of poet - buried in every human being like Ariel in his tree, and that the people whom we are pleased to call poets are only those who have felt the need and contrived the means to release this spirit from its prison."